All great haute couture designers have the typical signs. Some creation or invention which let them to get the immortality, to stay at the top of the fashion Olympus. While talking about Chanel we imagine “little black dress”, Dior is undoubtedly associated with the kilometers of fabric rushing from the tiny waist to the New Look silhouette, Balenciaga means the volume jacket, Paco Rabanne bells the metal. And when speaking of Saint Laurent… This will be neither female smoking jacket dressed on a naked body, nor safari-dress, neither the black-laced back, showing the total absence of underwear, nor the transparent blouse, showing absolutely the same. Not the A-line dress and not even the Mondrian dress. Yves’ second name is colour. The triumph of colour in all its variety, in all its possible and impossible combinations. The modern image of the Fashion House is totally changed – the collections under the Saint Laurent name appeal to something gothic, rock-n-roll, youthful, in times androgynous, dominating black, occasionally mixed with white. The creative works by Saint Laurent himself oppositely differed by the splash of colours. Raspberry and emerald combinations, flaming red spilled onto the black or inky, fresh lemon shades interlaced with tints of blue – sky, cobalt in neighborhood with blossom pink, shadowed orange and deep violet… Add to the mentioned the plenty of accessories, all-kind decorations, false massive jewelry, the plumage, tinsels and sequins. Yves Saint Laurent was one of the first who started dyeing the fur – and soon the women dressed in fuchsia and turquoise fur-coats goes to the catwalk and further to the city streets. The state national designer, he nearly killed the main precept of French elegance – not over three colours in one look. Mostly curious that till the 1976 Yves Saint Laurent didn’t paint in colour and that the triumph of this creative thought goes to the same period. The colour affair has its roots, Saint Laurent was born under the burning North African sun, he was grown up in culture sophisticatedly called Al Magrib. And during all his creative life he was coming back to the territories he came from. We are keeping the cultural code of the countries we have grown in. By no doubt there are genes, but also the surrounding medium spirit and it often wins. Yves Henri Donat Mathieu-Saint-Laurent was born and lived until he was 18 years old in Oran – the harbor city in Mediterranean Algeria. The milieu he was raised in, the nonchalant colony atmosphere, that was reigning in French North Africa, the particularities of local architecture – all they influenced his art vision. The turbans, belly dresses, oriental styled gowns often appeared in his collections. His creative interest was mostly lying beyond the European boarders and his brightest collections were dedicated to the faraway countries and unknown cities – the African collection of 1967, the Indian collections in 1980s, the Chinese collection of 1977… Yves Saint Laurent tried to experiment with national clothes – styled Sari, Kimono, Caftan… Adapted headwear – turban, skullcap, Asian hat… If he appealed to Europe – it was something like Andalusia Spain with its fluffy skirts, frills, flounces, flowers. 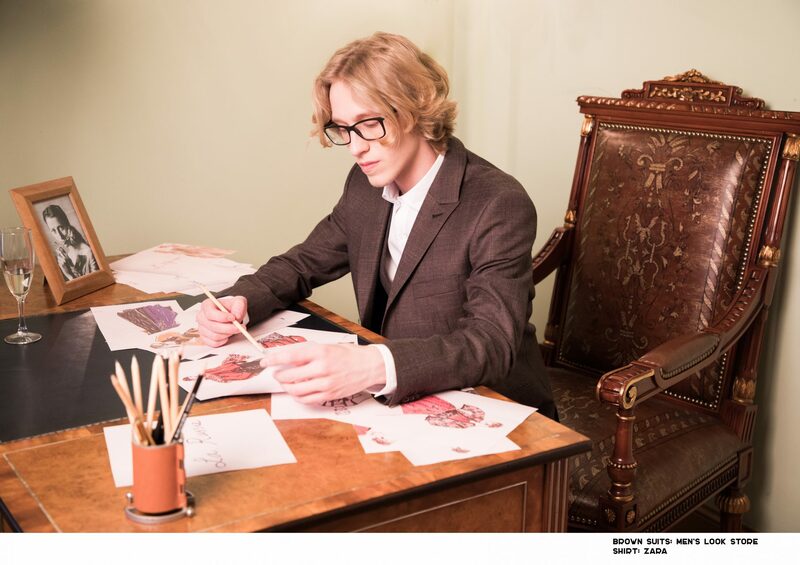 Yves Saint Laurent have never sketched in France. Never. In his young age being the Art Director of the “Christian Dior”, he went for a few-month trip to Oran, to his parents’ house from where he came back with a huge bunch of sketches. Later his personal house in Morocco became his art asylum – the well-known Villa Majorelle where 10 years ago the ashes of Maestro were dispelled. 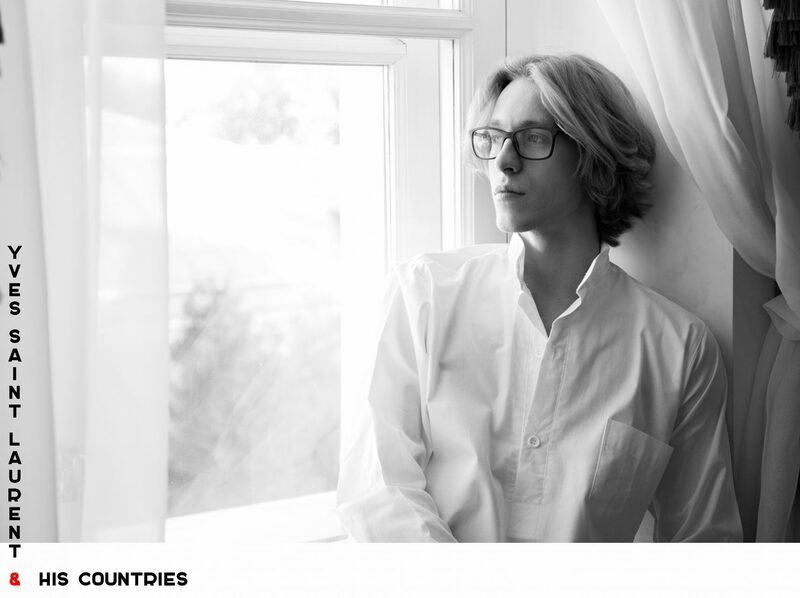 There was one more country in Saint Laurent’s life, the country that caused the special trembling – mysterious, oriental, Tatar-Mongol. But it needs a special storytelling. What was in the beginning and when the spark burned into the flame… I don’t know, but the fact is Yves Saint Laurent adored Russia. In far 1959, at the times of Khrushchev Thaw the unprecedented occasion happened – the fashion shows of “Christian Dior” took place in the Soviet Union. At that moment the 22-year old Yves was the art director of the fashion house. And there already were some clothes models called after Russian female names in the collection. Inspiration, Love, Friendship, Business – that’s what it was. 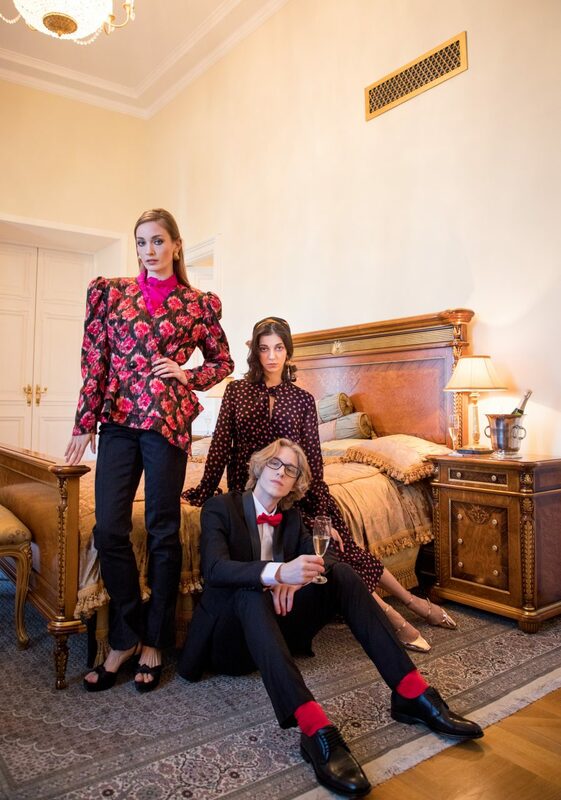 The world of Theatre captured Yves Saint Laurent while he was 11-year old boy – Moliere’s play The School for Wives stage and costume designed by Christian Berard was performed in Oran. When coming back home, young Yves had built teddy theatre with the actor’s silhouettes made of paper, dressed by him in paper dresses. Fifteen years later Yves Saint Laurent would create the costumes for real dramatic and ballet performances. His collaboration with Roland Petit kept the gorgeous legacy – for ballet art, for fashion world for their endless weaves. Cyrano de Bergerac, Les Chants de Maldoror, Palais de Chaillot, The Devil in Love, Notre Dame De Paris – this is not a full list of Petit’ ballets for which Saint Laurent generated costume and stage design. Their tandem was full of harmony – the style of Saint Laurent was so accordant to Roland Petit’s choreography language. Insolent, sensual, elegant, balancing at the edges of propriety, unreached but readable, sophisticated. It chanted the Beauty – of move and gesture, the beauty of personality, the beauty of Woman and human physicality. It is a sort of intellectual sexuality. Some time ago Notre Dame De Paris by Roland Petit was in the repertoire of the Bolshoi Theatre – of course with the costumes designed by Maestro. Principal dancers often chose the dresses by Saint Laurent for social and stage go-outs. The Dame Margot Fonteyn and Roland Petit’s wife – petite Zizi Jeanmaire. Later, Yves will create all her music-hall costumes – all these fancy plumage in pink, dare mini skirts, jackets decorated with sequins and bugle beads were the masterpieces of Saint Laurent’s hands and thought. For the Principal of Opera de Paris – the wife of Pierre Lacotte – Ghislaine Thesmar, the Designer sketched the costumes for Scheherazade ballet. For Maya Plisetskaya he designed the airy tunic made of pinky chiffon. The ballet was La Rose Malade by Roland Petit. When the foreign pink curiosity got into the costume department of the Bolshoi it caused some kind of shock – there were no such tailoring technology in Soviet Russia, also the design was ground breaking. It was the only Saint Laurent’s creation for Plisetskaya, but he was proud of it deeply – the portrait of Maya in a pink tunic had an honorary place in the Maestro’s Home (somewhere aside the portrait of Mayakovski). Chanel took us from feminity and sensuality, but lead to elegance and usability. Dior gave us back the Woman’s look, but picked up the utility. Somehow magically Yves Saint Laurent could combine the best from his teachers. More than any other couturier he managed to feel and understand a Woman – her thoughts, her desires, her mood, her inner sense. Maestro made friends with the greatest, most beautiful, most interesting women of his time – actresses, ballerinas, writers, painters, fashion models, first ladies… They were his confidents, muses, colleagues, party partners. 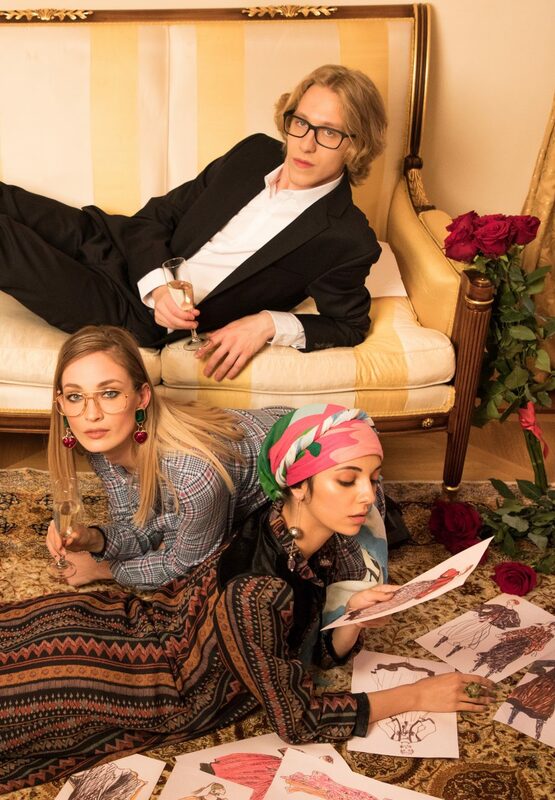 Night Paris still gets the memories of them – irreproachably dressed Yves Saint Laurent, the ideal Nordic blonde Betty Catroux in a styled male costume, graceful Loulou de la Falaise wearing colourful dress and a turban. Betty was Yves’s fashion model and the main friend-in-party, Loulou was responsible for jewelry design in Yves Saint Laurent House. Untill the last collection in 2001 Catherine Deneuve was a fashion icon and the ambassador of Saint Laurent style. She was like a treasure of a front row at all the haut couture shows and every social go-out was marked with a new Yves Saint Laurent look. Among the favourite mannequins and fashion models there were exotic chocolate skin beauties – Mounya and Kirat, gorgeous Veruschka. He was the first who had found the extraordinary charm of young Laetitia Casta. He devoted the whole collections to his eccentric muse Paloma Picasso. To Elsa Triolet, the wife of Louis Aragon, he dedicated his famous jacket – The Eyes of Elsa – named after Henri Matisse painting. Now this jacket is a part of fashion legacy. There was long-term warm friendship between Maestro and Elsa’s sister – the main infernal woman for Russian literature – Lilya Brik. As the legend tells they got acquainted in the airport during one of his visits to Moscow. Yves noticed a stylish elder woman at Sheremetievo, approached her and just told that she was the most elegant woman in Soviet Union. After there were years of correspondence, Yves Saint Laurent sent Lilya lots of precious gifts – bags, shawls, bijoux from his latest collections. Lilya accepted them graciously. Not about the things you could think. It is all about the dogs. Yves Saint Laurent adored French Bulldogs like Mayakovski did. Mayakovski called his bulldog Bulka. 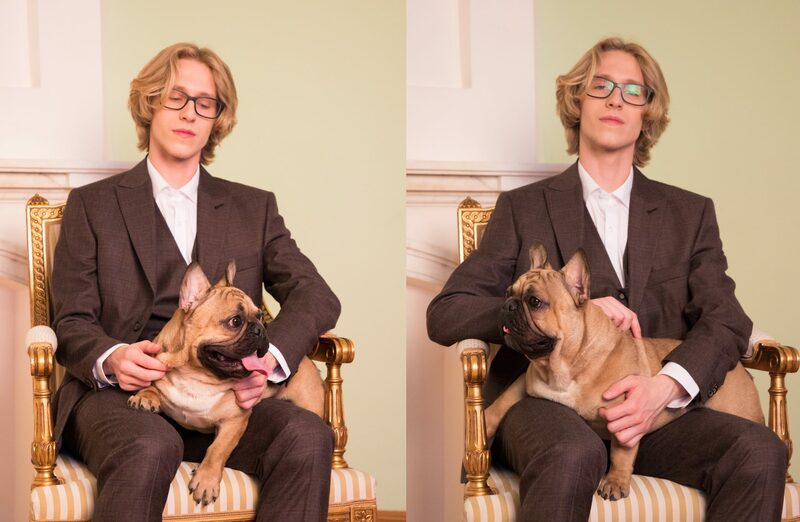 The name for Saint Laurent’s bulldogs was – the Muzhik – for all of them. When one Muzhik died, the other took his place. So all they passed by in such a manner – Muzhik I, Muzhik II, Muzhik III… For the life there were five of them. They say, the fifth was the most severe – he could simply not let anyone approach the master, if he didn’t like him, could yelp over and even bite. It is interesting that all the dogs looked totally similar. Why the Muzhik? 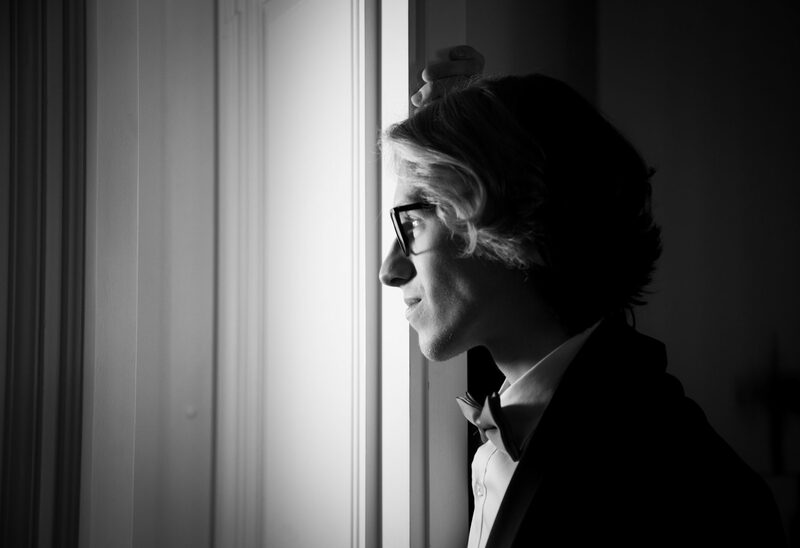 Because Yves Saint Laurent was mad about Russia and all Russian things, he loved how it sounded in French – this mysterious Slavic word. Supposed, it was Lilya Brik who gave an idea to call bulldogs by this name. But appealing to the chronology the Muzhiks ran into Saint Laurent’s Life before the fatal Lilychka. Saint Laurent’s Muzhik was even painted by Andy Warhol in a line with Commandante Che and Marilyn Monroe. Yves Saint Laurent was born in a wealthy family. His forefathers came from Switzerland. Yves’ great-grandfather made a wedding contract for Napoleon I and Josephine de Beauharnais. The co-owner of Villa Majorelle was Alain Delon. Later he sold his share to the principal owners. The talisman to Yves Saint Laurent was ruby-red heart. The heart garnished his favorite models in the collection. Yves was the first who employed black models. Yves was the first Couturier who got totally naked for ad campaign of his premiere perfume. The photo was pictured by well-known Jeanloup Sieff. “I drink champagne to celebrate the victory and to get calm after defeat” – the expression had to be the slogan for perfume called Champagne. The name was prohibited by the Champagne Syndicate. The perfume turned into Yvresse. Yves Saint Laurent opened the first pret-a-porter boutique Yves Saint Laurent Rive Gauche and became the discover of the Left Coast by Seine River. After his retirement from the post of art director of Yves Saint Laurent House, day by day he went to work and continued to paint – the sketches that never turned into the clothes. Somewhere at the other side, the other continent, the other world… In a place where the French piano-bar melodies are interlaced with the voice of namaz, where the Berber old ladies tell you future and world’s secrets for a few steady coins, in a city where The Aeroflot does not fly to, there is a half-destroyed column. It is hidden under the shadows of the lemon trees, in the heart of the cactus garden, planted beside the bright blue walls. This column is the memorial for Yves Saint Laurent. Ten years ago, 1st of June 2008, the Couturier passed away at the age of 71. The date we issue our story is not random. For these ten years lots of books were dedicates to the life and art of Yves Saint Laurent… Lots of films and documentaries, scientific and life-style articles. This is one of the most fertile themes for fashion historians, for theatre experts, one of the most captivating names. Three letters of Pure Magic we will always remember in spite of any re-branding. Because, there is no Saint Laurent without Yves. 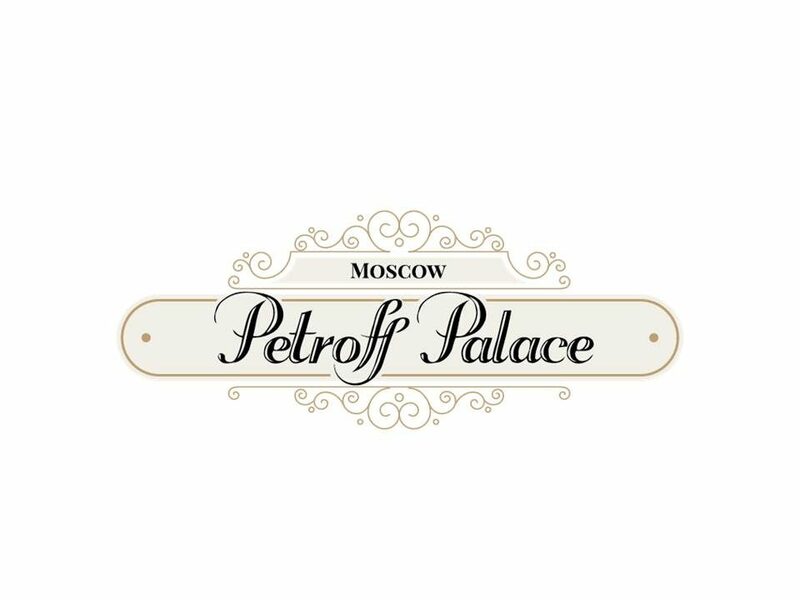 Special thanks to Boutique-hotel Petroff Palace.